Cliqon has been designed to resolve key issues in modern European web design and development. Any of these items, individually, would be a justification for choosing Cliqon as your preferred web site development environment, but when combined, they represent a compelling case for choosing Cliqon for your next project. Cliqon can replace every piece of fixed text and image with a call to the database for the content on a language by language basis. This is a simple requirement but one that has been overlooked or made overly complex in other systems. Cliqon is a web design toolset with which to build websites rather than a content or page managememnt system that utilises templates. Cliqon can be used to provide a framework with which to build a dynamic application or website using any type of design that can be conceived using a flexible template system. The Developer can change and add facilities to the existing system and modules. Also completely new modules can be added to the system. The opportunity exists to market these modules to other developers. Cliqon can be used to build websites and applications. Access to a Cliqon system is managed. This allows the Developer to set up heirarchical levels of control for websites that need user level management for visitors, agents, operators and administrators at table, function and record level. Cliqon already provides all manner of different modules and facilities including news and blog, stock catalogue, web directories, libraries of documents, rich text documents, calendar and gallery of images. Existing modules for business directory, classified advertising and ecommerece are being updated to theis version. Developers are encouraged to develop their own modules for offer and sale through the Community. 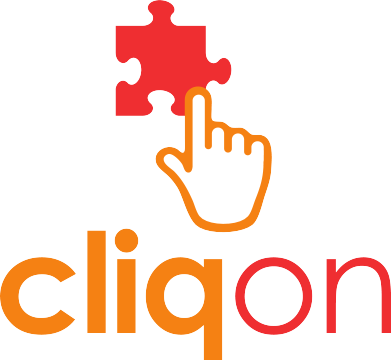 Cliqon is well documented and uses popular and intuitive facilities for database management and templating. The developer converts existing HTML templates to work with Cliqon and enters the textual content for these templates using the administration system. Content can be imported and converted from other formats.